Elisa was one of the founders of the MVYSO. Her passion for music education is evident in all of her work with the MVYSO. She holds a degree in Therapeutic Recreation from CSU Fresno. This has helped her to make MVYSO fun ... and a little different! David was the Director of Orchestras at Kentlake High School. Now retired, he came to us highly recommended by peers, students and parents. He has also worked with Kent Jr. High Schools, Olympic Youth Symphonies, Olympic Youth Symphony Summer Camp and M.I.T.C. He has a proven track recorded of developing students and the ensembles in which they play by conveying high expectations and achieving a delicate balance of informality and discipline. Students say "He's Fun!" He holds a Bachelor of Education in Music from Pacific Lutheran University and at 5th year degree in conducting studies from University of Washington. In addition to training groups to perform, he teaches private french horn lessons. Janice Halstead is a newly retired orchestra teacher from the Kent School District. She earned her BA in music from Seattle Pacific University. Janice is a professional cellist who has played in numerous ensembles and orchestras over her long career of teaching and performing. Her passion is helping string players reach their highest potential while encouraging a love of music. Graeme has been pursuing a degree in Music Performance from University of Oregon. He is currently working with Tahoma High School's Marching Band and Maple Valley Youth Symphony. In the summer's he has toured with Cascades Drum and Bugle Corp and Phantom Regiment Drum and Bugle Corp. He has also been a part of Oregon Crusaders Indoor Drum Corps. His teaching includes, Willamette High School Indoor Percussion (Front Ensemble Designer), Tahoma High School Marching Band Percussion, and Private Percussion Instruction. He is currently a member of Rainier Symphony Orchestra as a percussionist. He loves sharing his passion for music and percussion with students. 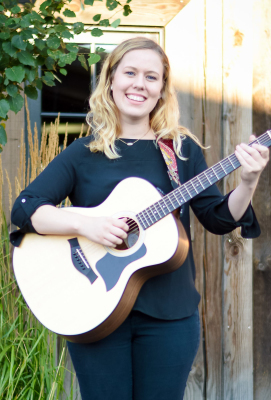 Madeline is currently completing her Bachelor's Degree in Music Therapy from Belmont University. She is doing her internship at Music Works Northwest and studying under Kristin Schneider, MT-BC. Madeline's clinical experiences include working with people with various disabilities including dementia, psychiatric diagnosis, and students with special needs. She is on track to graduate in December of 2018. She is excited to begin working with MVYSO's Jam Club students in her first Music Therapy job! In addition to working in Music Therapy, Madeline is also a Clarinetist and bassist. She is looking forward to fulfilling her two passions in life: spreading music and helping those in need. 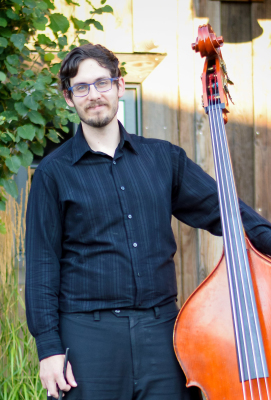 Daniel has been teaching bass and cello since 2007. He holds a Bachelor's in Music Education from Pacific Lutheran University. He loves helping students make musical decisions and distinctions so that they own their own learning. He provides a strong positive learning experience for our bass and cello students to excel musically while having fun doing so. Katie is double majoring in Oboe Performance and Molecular & Cellular Biology at University of Puget Sound. Her performing experience includes University of Puget Sound Symphony Orchestra, Spokane Youth Symphony, Lewis and Clark High School Wind Ensemble and Lewis & Clark High School Marching Band. Her teaching experience includes tutoring in Misawa, Japan, and volunteering at Mobius Science and Children's Center in Spokane. In addition to coaching oboe, Katie will be helping us develop our Endangered Instruments Program. Katie brings a fun energy to our Oboe players and she might be able to help them with their science homework too! Rose is working on her Bachelor's Degree in Bassoon Performance at University of Puget Sound. She has been a part of youth symphony orchestras since she started playing bassoon. Her coaching experience includes Lake Samish Music Camp and Substitute Double Reeds Coach at Student Orchestras of Greater Olympia. She also teaches bassoon privately. Her past positive experiences in music coupled with her patience, makes her an ideal instructor for our students. Matt is an engineer by day and trombonist by night. He holds two degrees from Central Washington University: Bachelor of Music in Wind Performance and Bachelor of Science in Industrial Engineering. During his studies in college, he sat principle trombone for both the CWU Orchestra and Wind Ensemble, and played lead trombone for CWU Jazz Band 1. Matt has attended numerous summer music programs across the country including the Marrowstone Music Festival, Evergreen Music Festival, Boston University Tanglewood Institute, and Sewanee Summer Music Festival. He has also coached in youth music camps including Blue Lake Fine Arts Camp, and in a variety of other settings. Matt is honored to have studied with Dr. John Neurohr, Dr. Mark Babbitt, Scott Hartman, Steve Fissel, Ko-ichiro Yamamoto, Massimo La Rosa, and Don Lucas. He is looking forward to teaching our MVYSO low brass players to explore their own passion in music, while inspiring them to maintain a balanced life of work and fun. *MVYSO Studio Teacher. Trevor holds a Bachelor of Music in Brass Performance from the University of Washington and a Master of Music in Horn Performance from the University of Oklahoma. Trever has a passion for teaching and a drive to help students improve and meet goals. He has performed with the University of Washington Symphony Orchestra, University of Oklahoma Symphony Orchestra, University of Oklahoma Opera Orchestra, Marrowstone Music Festival, and Easter Music Festival. In addition to coaching at MVYSO, he is a private French horn teacher. Pam holds a Master's in Music Performance from the University of Washington. She has a worldwide professional experience in orchestra, chamber music and solo performance. Her calm, positive character and encouraging approach to teaching helps students excel at flute playing. Her teaching experience includes coaching with Tacoma Youth Symphony Orchestra, Seattle Youth Symphony Orchestra, and Marrowstone Summer Camp. Her teaching at the collegiate level includes flute instructor on faculties at University of Washington, Chinese University of Hong Kong, University of Wisconsin - River Falls, and Olympic College. She has maintained a busy and successful private flute studio for many years.